Best Easy Day Hikes Great Smoky Mountains National Park includes concise descriptions of the best short hikes in the area, with detailed maps of the routes. The 22 hikes in this guide are generally short, easy to follow, and guaranteed to please. 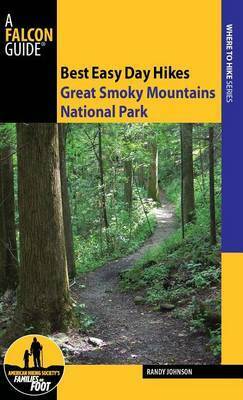 Randy Johnson is the author of Hiking North Carolina, Hiking the Blue Ridge Parkway, and Best Easy Day Hikes Blue Ridge Parkway (all FalconGuides). He was previously the editor of United Airlines' in-flight magazine, Hemispheres.